This unique piece of tiki wall art combines forms from the human skull with tiki carved features. It is a relic that has been long forgotten as it sits on the ocean floor it looks to the surface surrounded by kelp hoping to one day be found again. 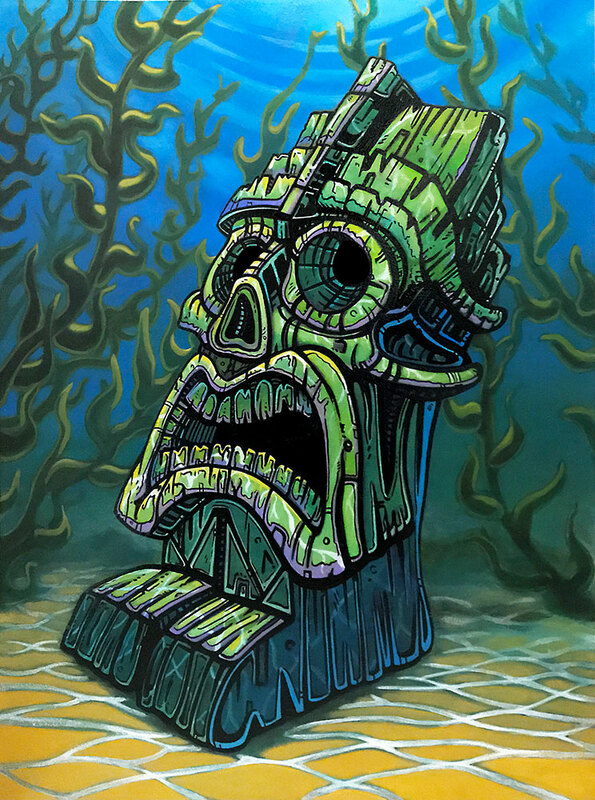 Lost Tiki is a reminder of how the ocean claims victims to all who fall below her surface. 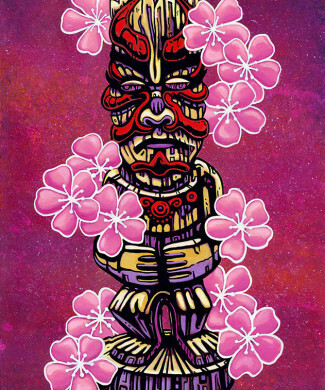 Lost Tiki was made with many layers of acrylic paint and then enhanced with enamel line work. It measures 12″x16″ and is painted on a smooth Birch panel. 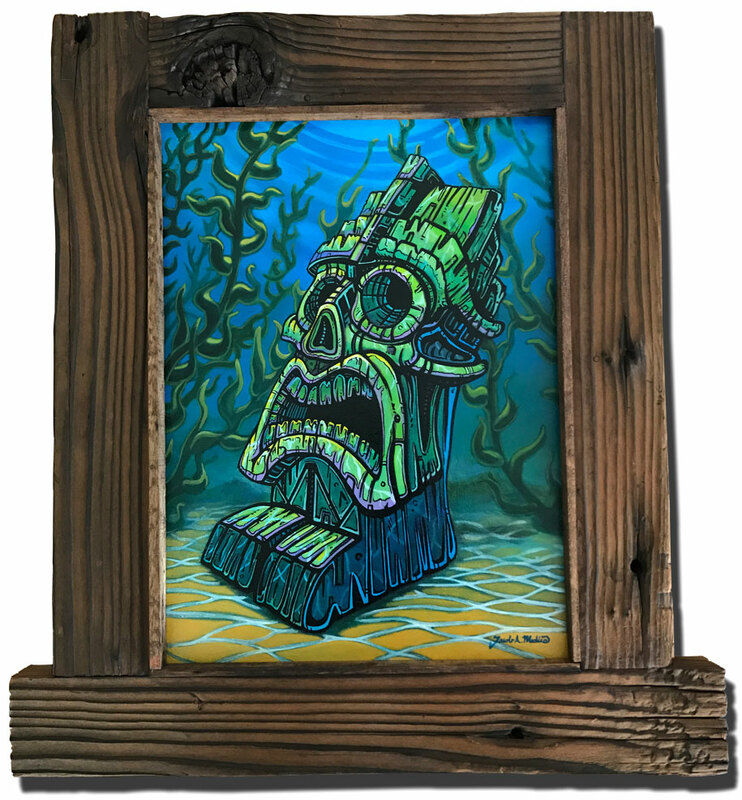 It comes in custom rustic wood frame that gives the piece a look of antiquity. 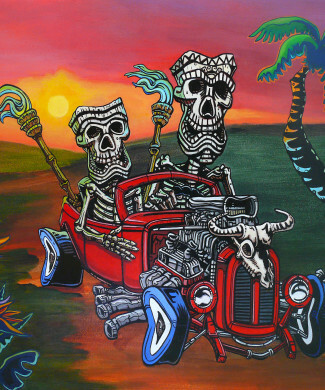 The total size of this original painting is 20″x22″. 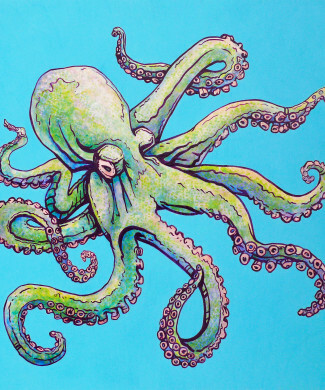 These are hand-signed, ready to hang, high quality Giclee inkjet reproductions nearly as beautiful as the original work. 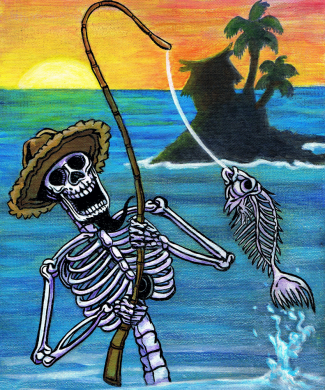 They are gallery wrapped around a 1.5″ stretcher bar frame, printed with archival pigment-based ink, and coated with a UV varnish that will extend the life of your art. Please allow up to two weeks for your prints to be shipped from the time ordered since custom stretcher bars must be made and the Giclee must be stretched at the time of the order.